This entry was posted in Comments about Cycling on December 13, 2016 by Steve Tilford. I’m always in a little bit of denial when December rolls in. In Kansas, the weather can be pretty nice all the way through November. That was certainly the case this year. I didn’t turn on the furnace until December 1st. But once the cold weather is constant, then I realize that it is time to get used to the cold. There is an interview with Floyd at Dirtbag that is alright. It doesn’t really go into any new information on Floyd, but you get a taste of where he is right now. I’ve known Floyd for a really long time. I rode Redland’s with him on Team Dirt and raced off-road and road with him a bunch. I like him. I haven’t really judged him like some of the other guys that got caught up in the doping deal. Probably because I like him or maybe because Lance doesn’t. Anyway, if you want to see what he is up to nowadays, here is a link. Since I mentioned cold, I saw these guys at theverge.com. They are bluetooth, heated insoles. They aren’t available right now. They are doing a kickstarter deal to get rolling. But, they sound pretty great and it says that they are going to cost $89. That would be a deal if they work for the stated 5 hours. Okay, my computer is still unhappy, so I have to make this post short, as I did yesterday. Trying to post on my phone is a hassle and frustrating. Stay warm. my gf spent a day with his parents some years back when I was doing the 100 milers… interesting chat she had with them. Mennonites. free beer, great food, excellent races… miss those. Floyd, Floyd, Floyd….just reaffirming the truth that many dopers in the peloton are not cyclist with a drug problem rather they are druggies with a cycling problem. Many very good cyclist left the sport before their prime in order to move on and start a ‘real life’ free of drugs and poverty and many of those who remained were the mentally flawed that couldn’t cope in the regular world and needed the ego boost and if drugs were there, the more the better. Good luck to Floyd and the new business but I kind of feel the same about him and his new venture as I do about our new president; simply put, this may not end well. 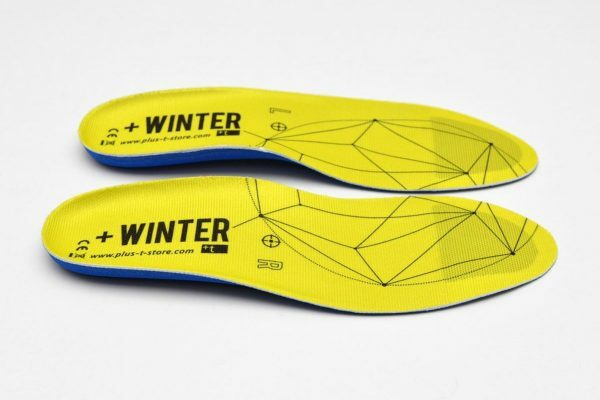 Now those heated insoles, if they work, could be a revolutionary change. Battery tech has come a long way. Don’t get all political. That’s a no no. The ‘normalize it’ crowd just wants to move on. But yes, we are Trump fucked! If you don’t mind thicker socks I’ve had good luck with heated socks I picked up at cabelas for $20. The 9v battery lasts a month or so. We’re finally leaving the iceage behind. With or w/o human interference it’s a good thing. If you look historically at the last 4 billion years or so the poles been icecapped only a fraction of that time, but no one tells you that… do they now? As I recall, Floyd had the gall to solicit donations to his legal defense fund…. I wonder if he paid any of those people back before starting his weed farm. Sounds like a really special guy. You are lucky to know him. @The Cyclist — and how many of those 4 billion years on Earth were suitable for human life? Will they be Samsung batteries? Steve, I give you kudos for your honesty. And it makes perfect sense.